Electric cars are starting to become more popular in the auto industry, and there’s no surprise as to why. Driving an electric car gives Hamilton drivers many advantages, including being a more eco-friendly option than gas or diesel alternatives. Read on to learn more about the benefits of electric cars! One advantage of electric vehicles is they are easier to maintain. Electric cars don’t use oil to lubricate the engine, so Ancaster drivers with an electric vehicle (EV) don’t need to worry about getting regular oil changes to keep their car running smoothly. Additionally, on electric vehicles, brakes don’t wear as fast as they do on gas-powered cars, meaning necessary brake replacements are less frequent. You’ll also get many savings opportunities with your EV. For one, you won’t have to pay for gasoline anymore — an expense that adds up over time. Instead, you’ll recharge your EV at an electric car charging station, which is less expensive than the gas alternative. Furthermore, electric cars can be affordable to buy as well. Although the price may not initially look that way, there are tax credits available when you buy an electric vehicle. This cuts down the cost of your new model considerably. 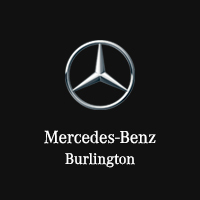 Learn More from the Team at Mercedes-Benz Burlington! Interested in buying or leasing an eco-friendly vehicle, such as one of our plug-in hybrids? Contact us at Mercedes-Benz Burlington to learn more about the pros and cons of owning an electric car! Also, when you visit our dealership near Ancaster, be sure to ask about our new vehicle specials! 0 comment(s) so far on What Are the Benefits of Electric Cars?